Every living creature is engaged in work. Works are of two types; physical + mental, and only mental. The body may or may not be involved in the performance of a work, but the mind is always involved. Mind motivates all activities, which means that there is a motive behind every action of every individual being. What is our motive? We want happiness. 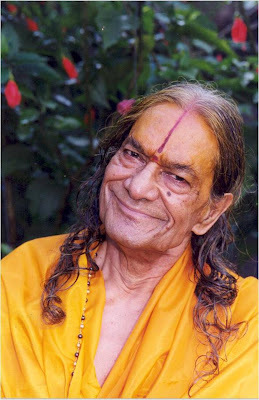 Philosophers say that we desire Immortality, Knowledge, Freedom and Power also, but the Bhagvatam instructs that these are mere means of attaining happiness. Every creature desires happiness. Everyone is so different from one another. All look different; have distinct tastes; think differently, but all want only happiness. Why? Reason: All are part of God, and every part desires to unite with the whole. Being part of God, all desire to unite with Him. Vedas tell us that God is happiness, and that the individual soul can attain happiness only by attaining God. This is the reason we should know God. Through God we will attain genuine happiness; happiness that is unending, everlasting and ever-increasing. Why have we not yet attained God?